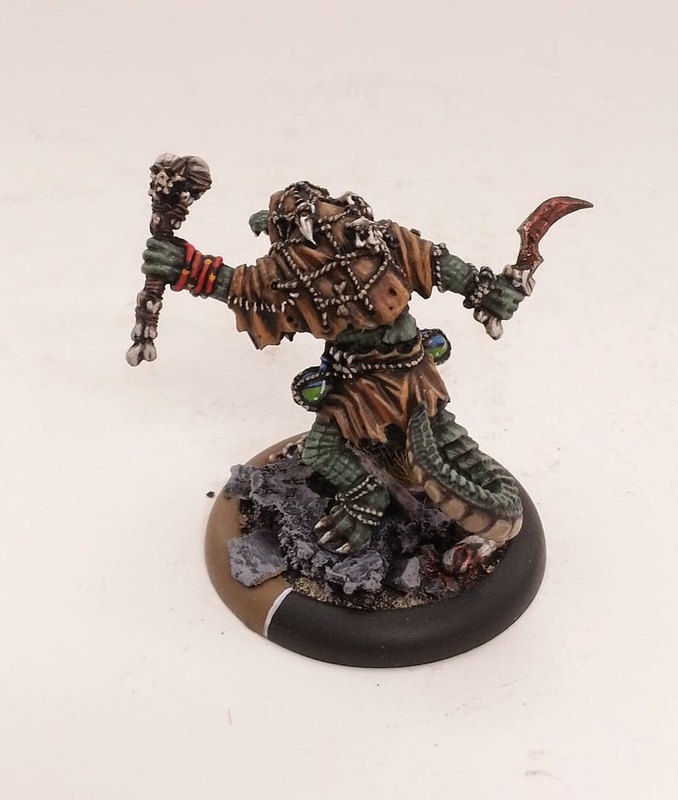 Legio Minimus: Witch Doctor Complete! Another quick update. For some reason one of my fave things to paint are the minions I can add into my Army. It might be because it gives me a break from Trolls while still adding something to their army. The Gatorman Witch Doctor is one of my fave solos I have finished so far. Lots of fun details like his bloody knight, the snake on the other hand and the globes of liquid on his belt. 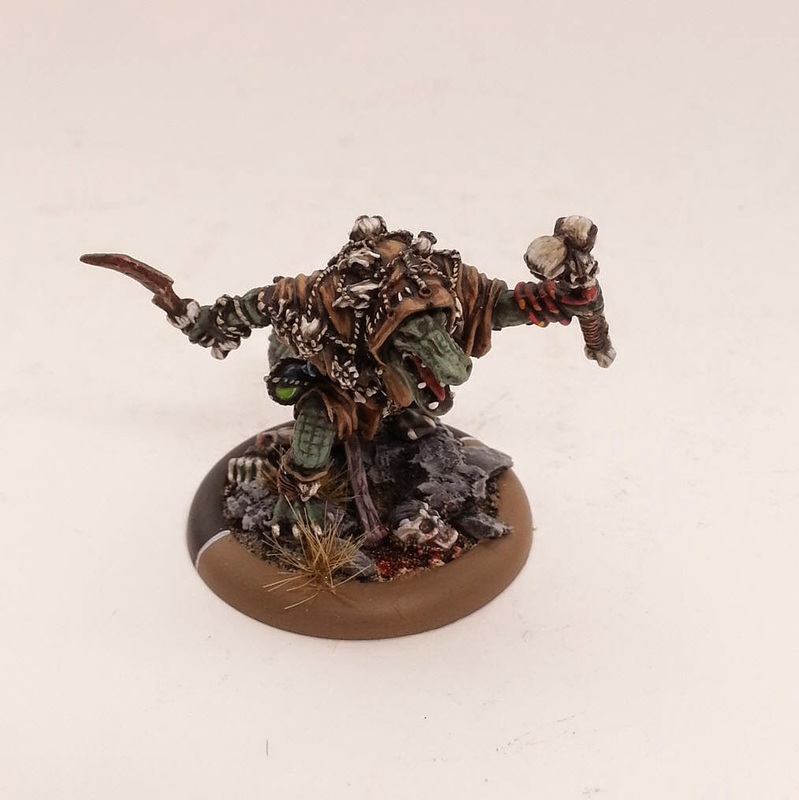 Also had fun painting up the bloody body parts (which you cant see very well in the pics) on his base. I should have some more stuff next week too.